You might spot rare ducks and grebes, such as the American Wigeon, which has been seen quite regularly here at Ballintubbrid. Although geese are rare in East Cork, this is one of the few locations where you might see Brent Geese. Brown Island Quay was built in the 1880’s for boats bringing timber, coal, wool and grain across the estuary to and from Ballinacurra. During Penal times, the Island was used to smuggle whiskey and wool into Europe in return for tea, wines and tobacco. 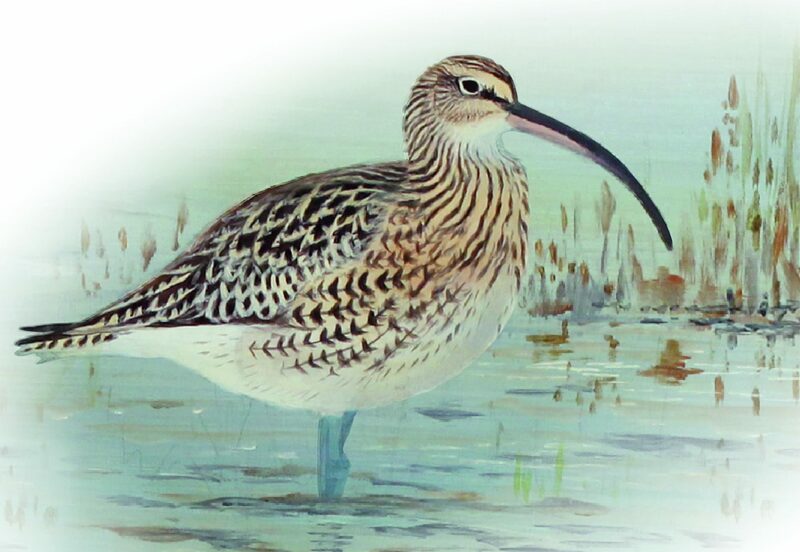 Please see opposite an image of a Curlew, which may be seen here at Ballintubbrid.